The instruction was, “Completely abandon technique, pick up a pencil and draw a very rough sketch of a ‘landscape picture’. I was amazed how instantly I regressed into childhood upon this suggestion and felt quite ‘ashamed’. 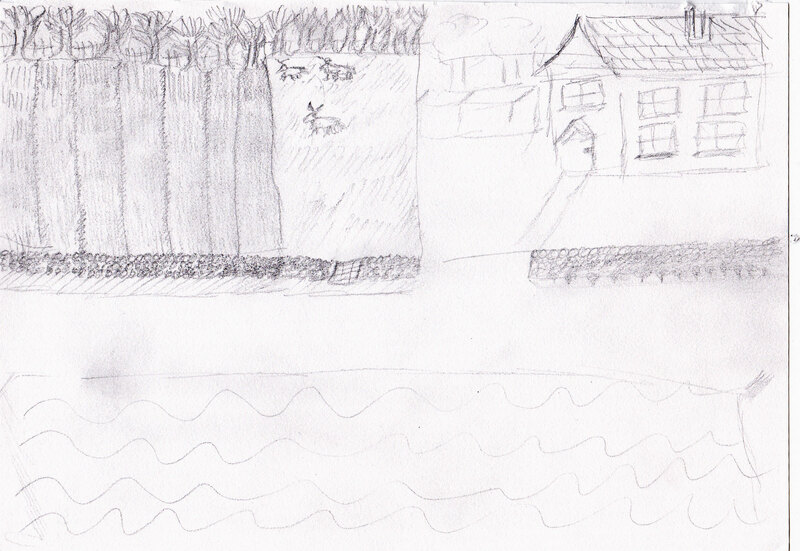 Two fields, one with neat rows of crops and the other with animals Both bordered by a wall on the roadside and fence/trees on the other. A large farmhouse and barn over the way, backed by trees and fronted, again by a wall, on the roadside. The sea is on the other side of the road. A rectangle, no people present, tidily arranged and tranquil. The fields occupy slightly more space than the farmhouse. Because I wondered about it, I asked my husband to draw a sketch as well and he took the pencil with gusto and confidence. More flowing and dynamic, whilst following the rules of composition. Trees and hills in the background with a road wending through them then over the water towards a house quite nearby, animal and boat. A ‘busier’ scene somehow although home and animal are strongly in the foreground together with a boat to sail away if needed. Again, no people. Okay Catherine, have another go. Where did this spring from? Well, when I was quite young I used to draw a country for myself. 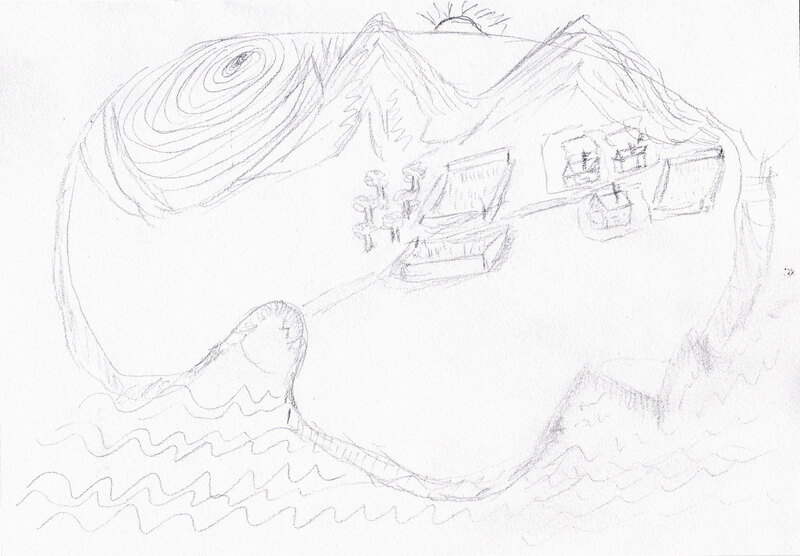 An island in the sun with hills, trees, animal stockades and a settlement of houses quite a way from the cliffs and sea which flows into a small harbour. 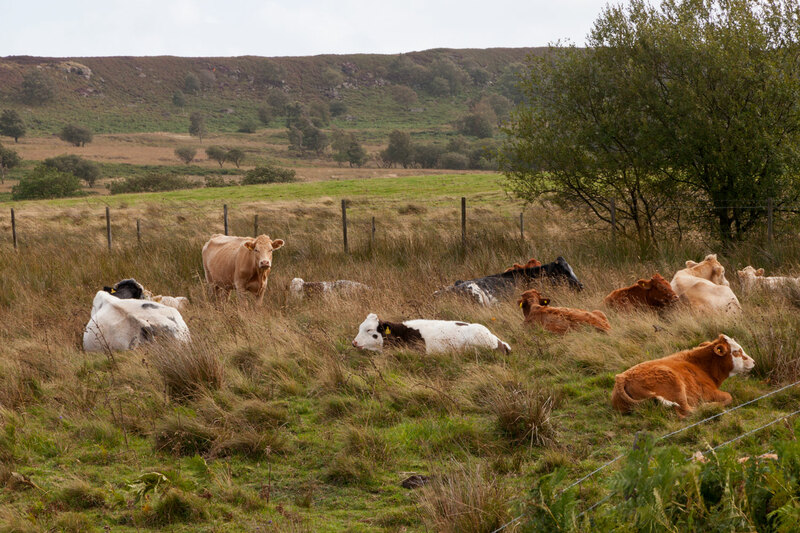 My first thought about landscape, from long habit, is of green fields, hills and cows and sheep. The notion of ‘landscape’ as countryside was embedded in my head from an early age – being something that was looked-upon and admired as opposed to ‘lived within’. I was born and brought up in a council house on a large estate in industrial Sheffield. The street and nearby park, with its outdoor pool, were my playgrounds. The garden was just ‘there’ – not really a play space. For quite a few years I spent weekends in a hut in Calver, Derbyshire – no longer there as huts have been replaced by caravans. 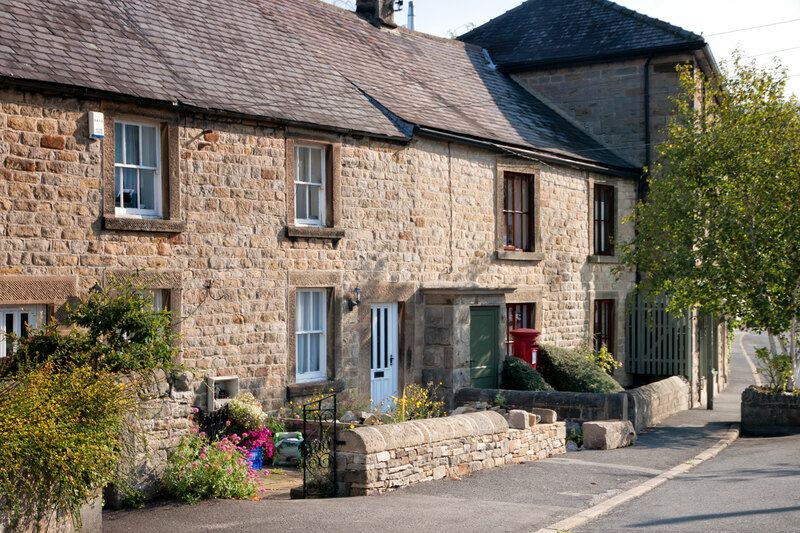 Calver and its pale limestone cottages are protected in their valley and it’s obviously a popular spot for visitors. 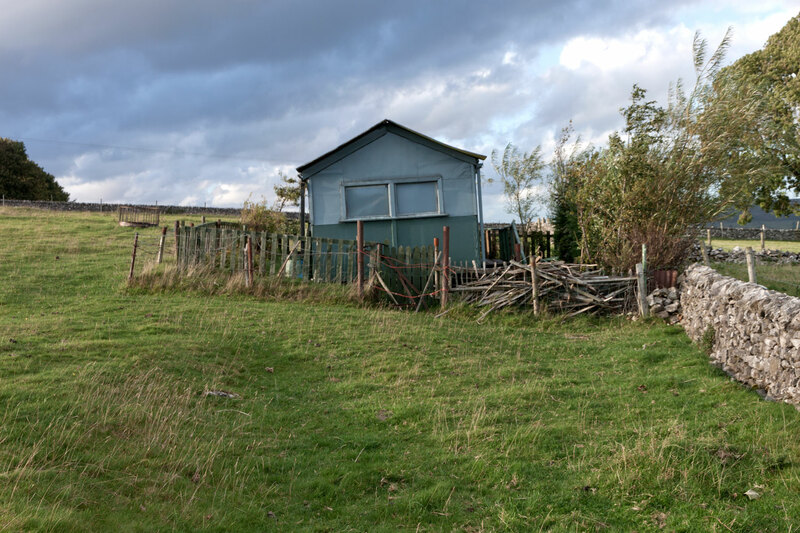 There was also another family hut in Bradwell, Derbyshire much visited by my father’s side as they once lived in Bradwell and my father was born there. 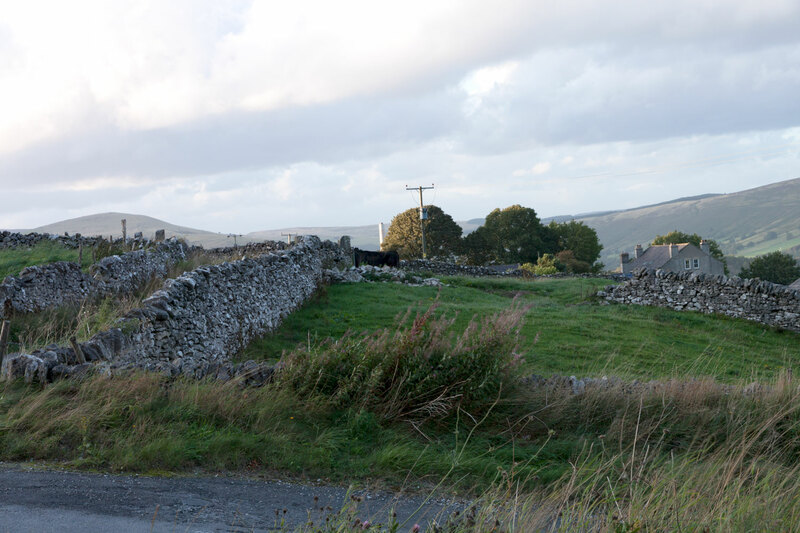 Bradwell is more towards the Dark Peaks of the Peak District with its houses built of darker, harsher stone. The family hut is still there after all these years – a long walk uphill from the small town and isolated in its field. I didn’t really enjoy staying there – no people; harsher greens, rough walls and with a nearby quarry. 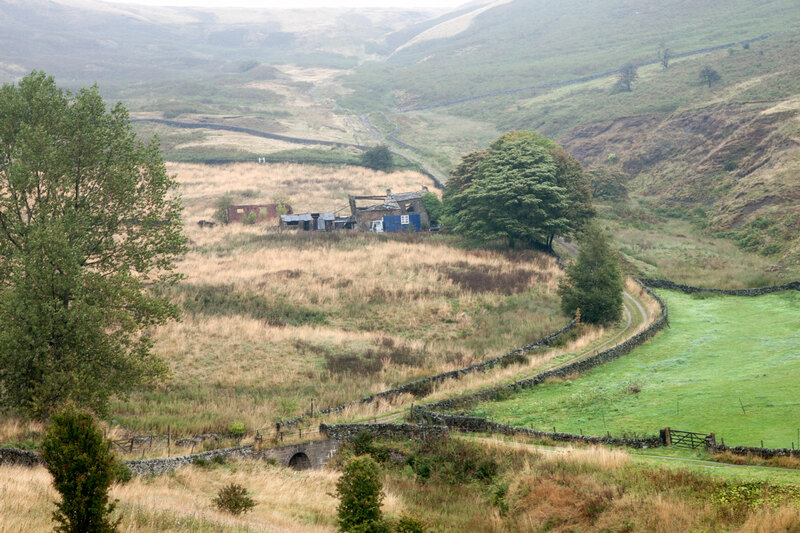 When I was older I used to travel on the bus with friends to the Peak District and we hiked in both valleys and hills – Mam Tor, Kinder Scout and also near the Blue John Mines. I wouldn’t say I have a romantic view of the countryside really as cows are also linked for me with cowpats, swishing tails, horse flies and bulls. 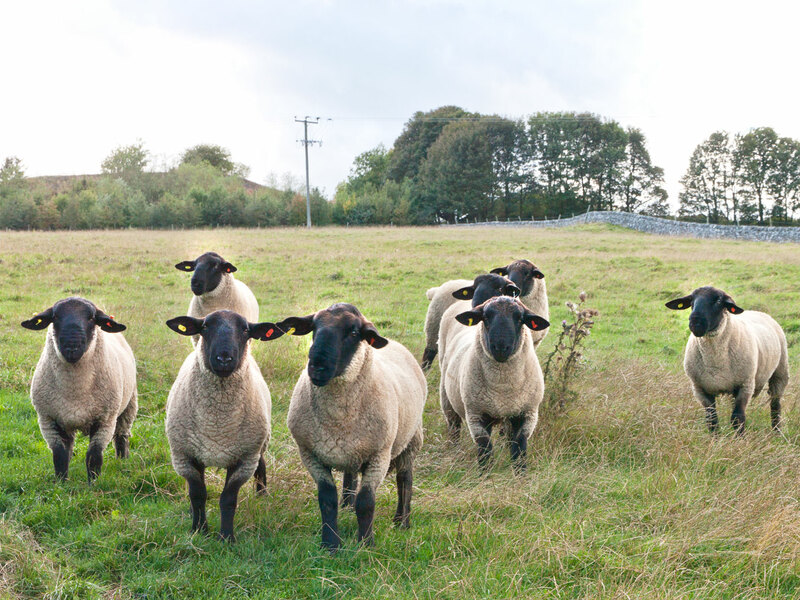 Being honest, I have to admit that, although I like being out in the countryside, I’ve never actually had any desire to move there, although I do live near to green fields, some farms and recreation areas. That brings me to another point which is that, of course, I’m linking my notion of landscape with the countryside even as I’m writing this despite the fact that in recent years I’ve spent a lot of time exploring small urban green spaces and almost neglected areas where trees can grow and the air is fresher as can be seen in my blog posts for my previous Modules. I have also begun to be more performative to interact more directly with these spaces as here and here in “Context and Narrative” and here in my first Level 2 Module, “Digital Image and Culture. 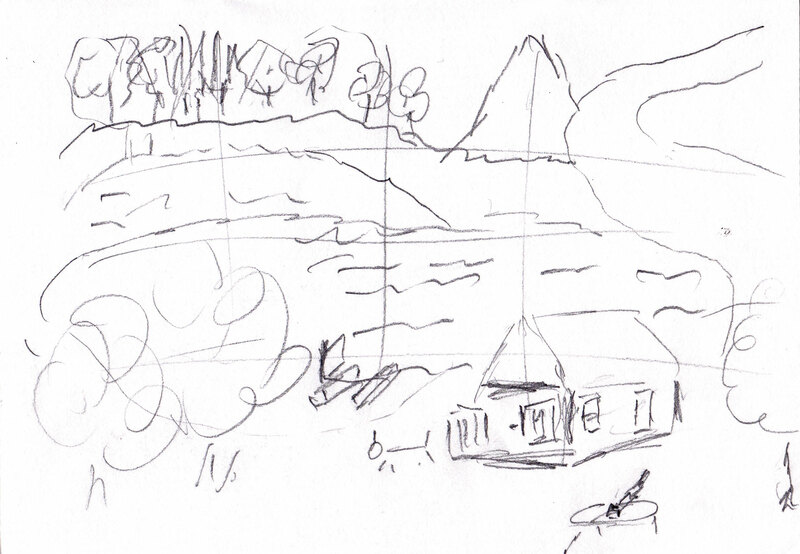 This means that I am learning to portray landscape in a different way from the images above. Further back in my studies, In my final assignment for the Level 1 Module “People and Place” I looked at one of the housing developments designed by the architect Eric Lyons – of which there are a few in Surrey. Lyons was a disciple of Walter Gropius, who founded the Bauhaus in Weimar, Germany in 1919. Eric Lyons became an architect with Span Developments (created by Geoffrey Townsend), and their concept was to create small communities with landscaped parkland which provided open spaces for community living. It was also intended that those who lived there should take an active interest in the management of these estates. I am recollecting that assignment because drastic changes are proposed in the relatively small area of Ottershaw where I now live, with the prospect of three large housing developments encroaching upon/displacing Green Belt Land, with what appears to be inadequate consideration of their impact upon an already crumbling road system (literally) and local hospital, health and education systems which cannot even cope with current demand for their services. One ‘feasibility’ study – conducted without consultation with the local population or businesses – suggests the building of a new roundabout in Ottershaw which will be eight times larger than the current one and cut the village into half whilst removing the current car park for local shops and the village hall. Of course, there is no way that I could claim to be objective but surely there must be more creative solutions. People need houses, particularly young people but the developers’ idea of ‘affordable’ in one of the new developments is £500,000 for a three bedroomed terrace house. I could go on but, hopefully, some measure of common-sense might eventually prevail even to the extent of providing the needed infrastructure before most of the houses are built. What do I hope to learn from studying Landscape at a more advanced level? What kind of photographic practice do I wish to develop? I want to continue to explore my immediate environment; how we humans occupy our spaces and use/misuse them. I’ll be observing and commenting upon development plans for my local area as they progress but am unsure whether I might want to adopt what, to me, would be a more documentary approach for this. I’ve also become increasingly interested in alternative methods of photography, especially since seeing the work of Stephen Turner from his project The Exbury Egg as can be seen by recent blog posts and so am wondering how I can incorporate this newer interest within my coursework rather than treating it as ‘personal’ projects. Hopefully all these ideas and interests will somehow distil into something more coherent and purposeful now that I’ve actually written them down as opposed to carrying them around in my head. This entry was posted in Part 1 on July 8, 2018 by Catherine. The development plans sound as if they could severely disrupt the area and as for the price of a three bedroom terrace– works fail me! There is certainly plenty of scope for a major project. Your experiments with alternative photography are so successful I think it would be great to include them in your coursework & assignments. I know, those prices are unbelievable. It’s to do with fast train travel to London I think. At junior school I had two school (day) trips, the first was to the Blue John Mines. I travelled on a steam train, in a carriage that had compartments and I remember sticking my head out of the window and feeling really excited. My first trip away from home. I remember I had cheese sandwiches wrapped in paper from home for my lunch. This kind of romanticism is something I still can’t understand about the British and the landscape – not the land, but the landscape. Imbued with a crepuscular sense of the past that hides all, just as the “landscaping” of the spoil of coal mines buries the past. I’ll watch with interest, as ever. Interesting how those early, first experiences stick in the memory. I’m interested in what lies beneath those layers in landscape. I used to think Woking was pretty boring until I discovered that H.G. Wells was inspired to there to land the Martians in Horsell Common sand-pit. It’s still a site of pilgrimage for science fiction fans who travel from all over the world. I enjoyed reading this post Catherine and much of what you say resonates with me. I grew up on a council estate but one in walking distance to a fairly ‘unaltered’ South Coast beach where we ‘kids’ spent a lot of time beach combing. But my Easters were spent in a small ex mining village ( my uncle being a miner ) not far from Chesterfield/ Sheffield which I found an exciting contrast. Memories of trips to Bakewell / Tideswell etc. and walks to Creswell Crags… so different to the Sussex Downs. Very much looking forward to seeing how your work develops during the course..
That must have been a real contrast for you Sue. It’s the colours that always strike me – grass is a much softer green in the South for instance.